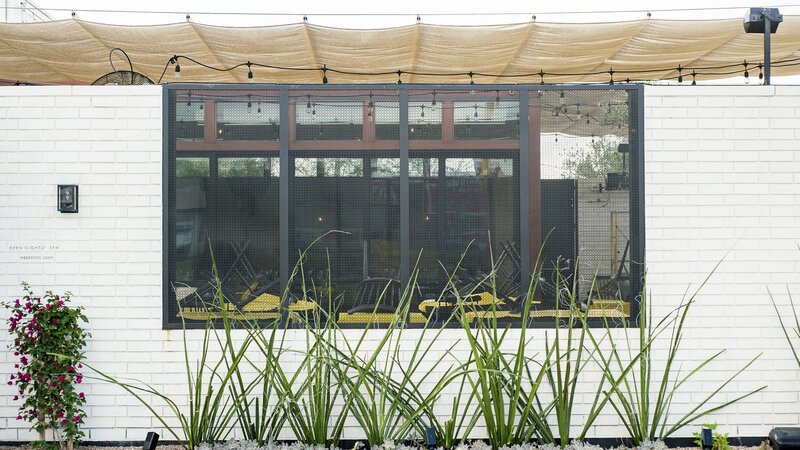 A busy restaurant with loads of style. 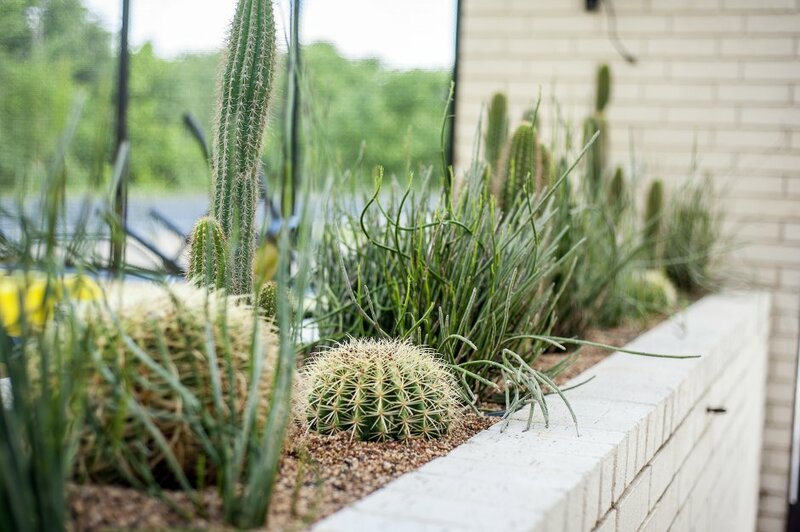 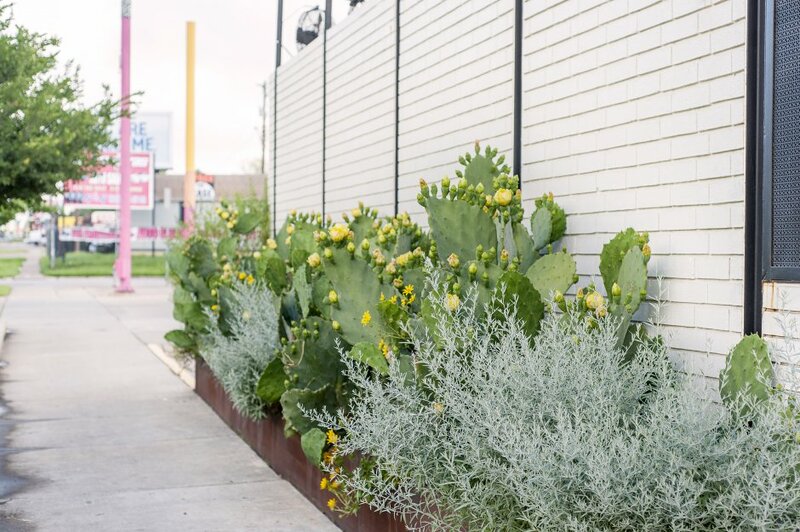 Plantings are native, well adapted, and xeric, with a bold and interesting appearance in bouganvilla, barrel cactus and giant hesperaloe. 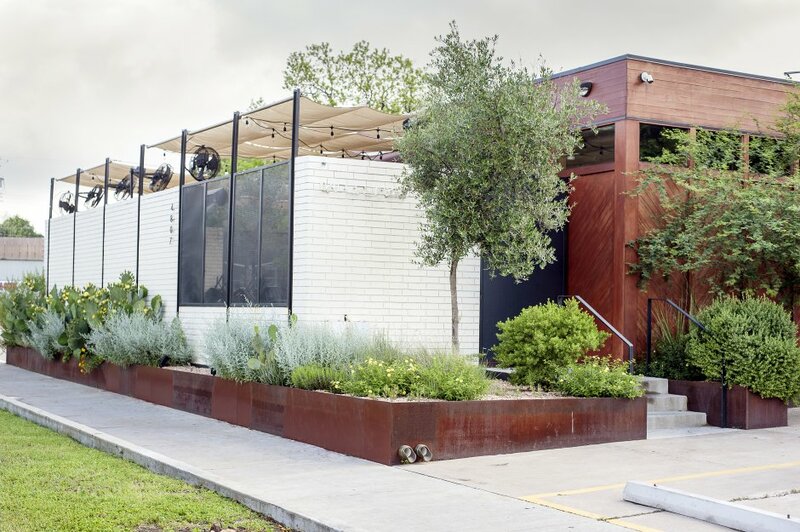 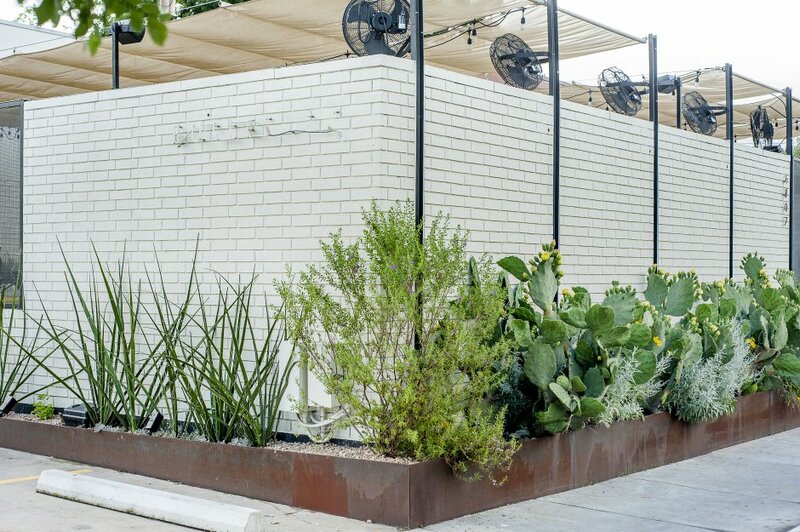 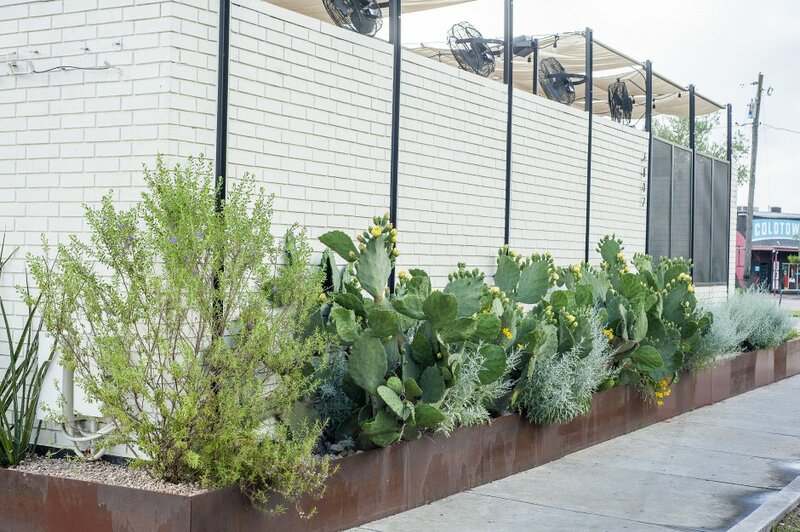 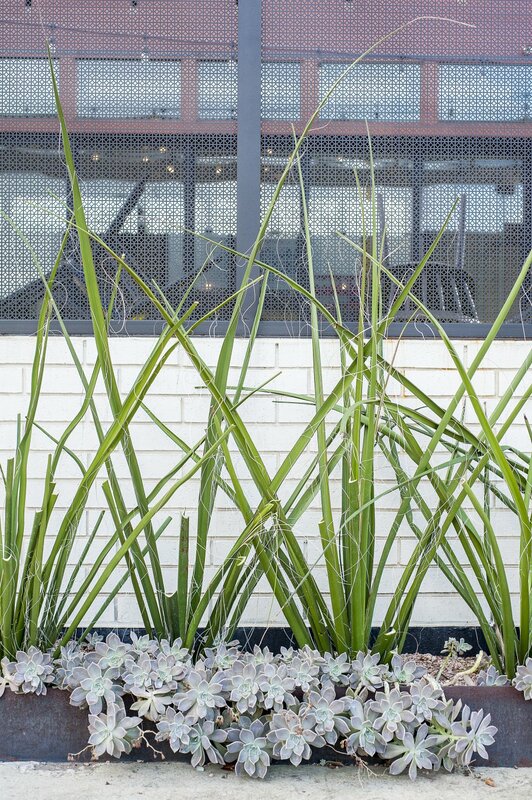 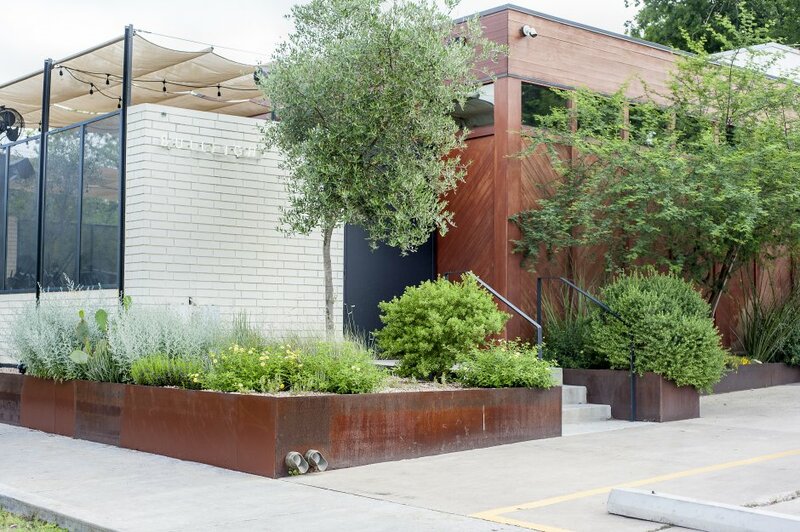 Steel planters and gravel mulch keep with the style of the plantings and mesh with the architecture bringing an interest to the exterior of this entertaining eatery.